Prepare the chicken broth and the chopped spicy red peppers with chicken liver. 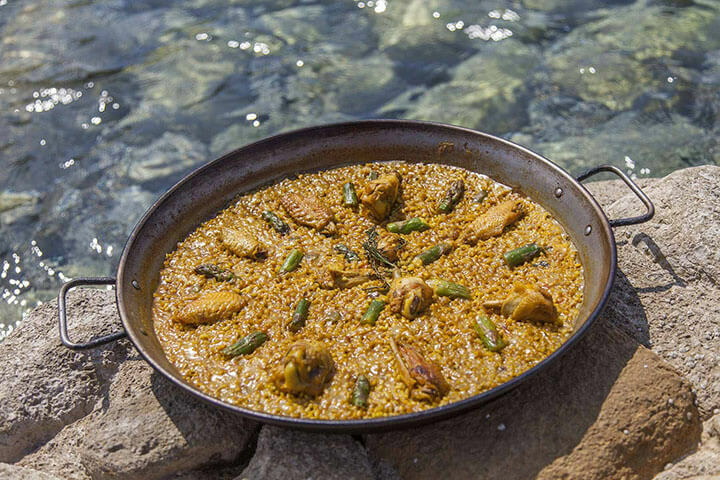 In a paella pan, seal the chicken wings and add the asparagus. Slowly add the tomatoes to avoid them caramelising. Add the chopped garlic and parsley and leave to cook. When ready, add the rice and food colouring until golden brown and add the chicken broth. Leave to cook. When the rice is ready, serve with a spring of thyme and rosemary and 2 pieces of lemon per person.